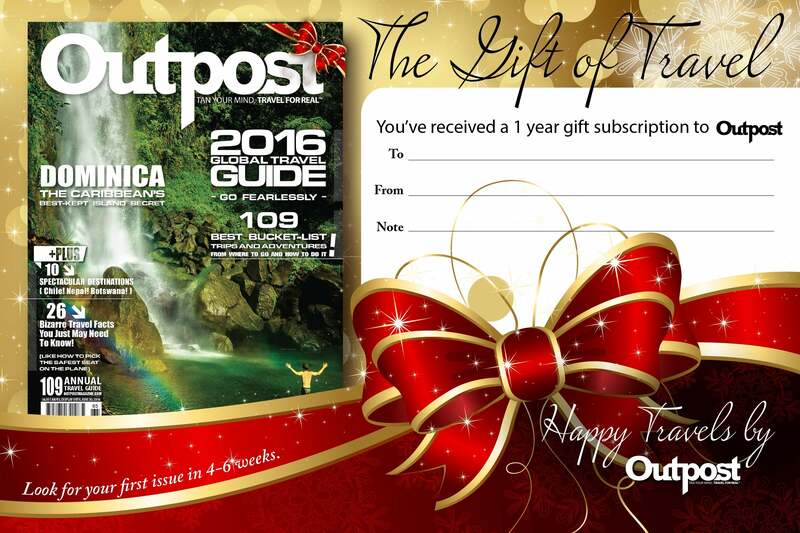 Share the gift of travel with your friends and family with a one-year gift subscription to Outpost Magazine. Click here to print your gift card. Note: This special pricing is only available as an add-on to anyone buying a gift bundle. Add on as many of these special gift-priced subscriptions as you like!